Tory Party chairman Grant “Spiv” Shapps did not acquire that nickname by chance. He has serious previous form for pretending to be someone else - you can choose between Michael Green and Sebastian Fox, at least - and has been caught relatively recently being involved in a get-rich-quick scheme involving software whose use was illegal. Now the deeply subversive Guardian has caught him with his pants on fire. The MP for Welwyn Hatfield has long been suspected of lying over his claim that he ceased to refer to himself by the pseudonym “Michael Green” as soon as he became an MP in 2005. Yet he maintained this conceit for years, even to the extent of using legal threats to bully a constituent into taking down a Facebook post and publicly apologising to him. But he was indeed lying. And now he’s been found out. Shapps “had a second job as a ‘multimillion-dollar web marketer’ under the pseudonym Michael Green for at least a year after he first became an MP … It is a suggestion that Shapps has repeatedly denied for three years, but the Guardian has discovered a recording from the summer of 2006 in which the Conservative MP for Welwyn Hatfield boasts his products could make listeners a ‘ton of cash by Christmas’”. It gets worse: “Rather than running down his operations it appears that in 2006 Shapps was expanding the company. On a recording made in the summer of that year, the Tory MP says over the next few months he will be running his ‘mentoring programme’ to hire 10 staff, produce software to create websites that ‘Google prefers’ and start selling ‘Stinking Rich 3’, latest … in a range of self-help guides that claimed to make customers wealthy”. And, as if that is not bad enough, there is the previous revelation by the serially tenacious Tim Ireland of Bloggerheads that the domain for HowTo Corp’s “20/20 Challenge” (HowTo Corp sold Traffic Paymaster, which performed content scraping in flagrant violation of Google rules) was not registered until August 2007 - more than two years after Shapps became an MP - and that there was audio of Shapps promoting it. 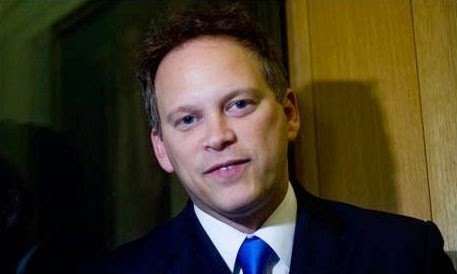 Shapps later claimed that HowTo Corp had been transferred to his wife, in an unintentional Life Of Brian moment - “I’m Michael Green, and so is my wife” - but the taint of forthright spivvery could not be washed away. He was even declaring company directorships until 2009. Put directly, Grant Shapps is a liar, and his position as Tory Party chairman should be untenable. So what has happened? As if you need to ask. It’s rather too close to the General Election for this kind of thing, and so the senior chapter of Tory Party cluelessness has engaged mouth before brain, typified by Jeremy Hunt, the former Culture Secretary, who has asserted “Unbelievable Lab/Guard/BBC attack on @grantshapps. His sin not 2 use pseudonym but 2 write books about how 2 create wealth - shock horror”. Blaming Labour, the Guardian and the BBC? Haven’t I heard that before? Of course - phone hacking! It was crap then, and it’s crap now. And with Shapps now saying he didn’t lie, but merely “over-firmly denied” something, there is only one conclusion: it’s time to go, “Spiv”. Wonder why the police say "may" constitute fraud and yet not charge? Did they investigate further? Or does the cosy relationship between the Met and some politicians at top level still remain? I think Grant should start to worry when his Michael Green persona outpaces his real one on the Twitter trends ladder. Getting dates wrong by a couple of days is 'screwing up', though try doing that at the Job Centre; I think it results in sanctioning. Getting them wrong by a whole year is nothing short of lying, the offence compounded by using legal threats against people who suggested that Spiv was not being totally honest in his claims. 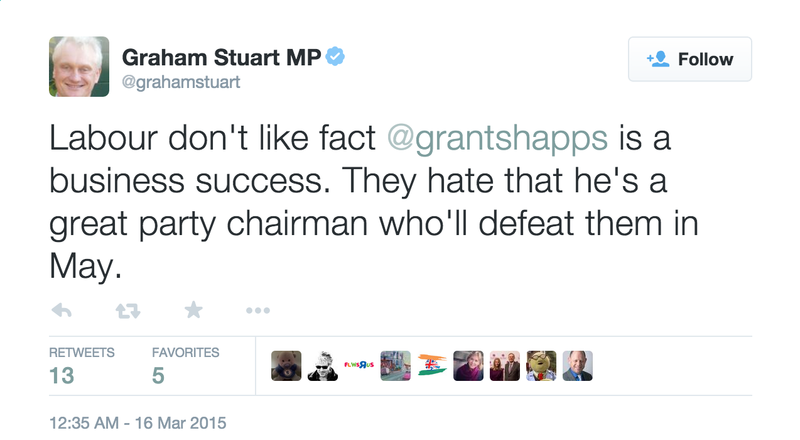 I wouldnt be surprised if Grant Shapps isnt even his real name. He really is protesting too much for being asked about something which is permitted! I suspect he has no idea what his alter ego was up to, or he doesn't want too many people digging around his past. If he admits he was working all the questions about his various persona will start being asked. Cutting to the chase : if he lied he should resign. Mind you, I love the phrase "over - firmly denied" and am retaining it for future use in case I find myself in a tight spot . 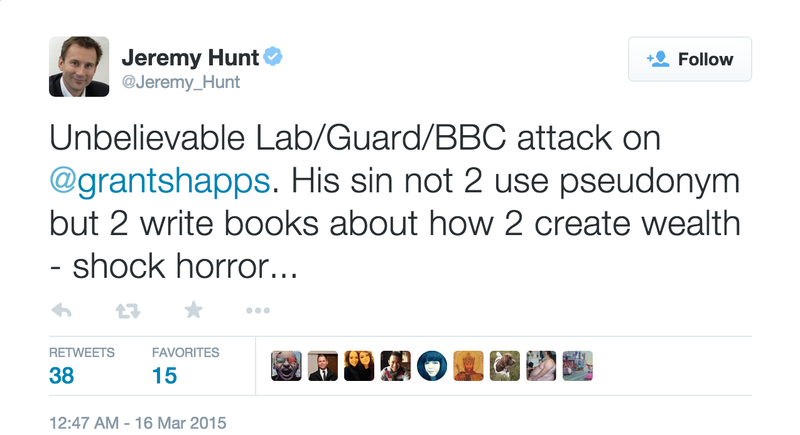 Yesterday I posted that I wouldn't be surprised if Grant Shapps isnt even his real name. What do I find now?